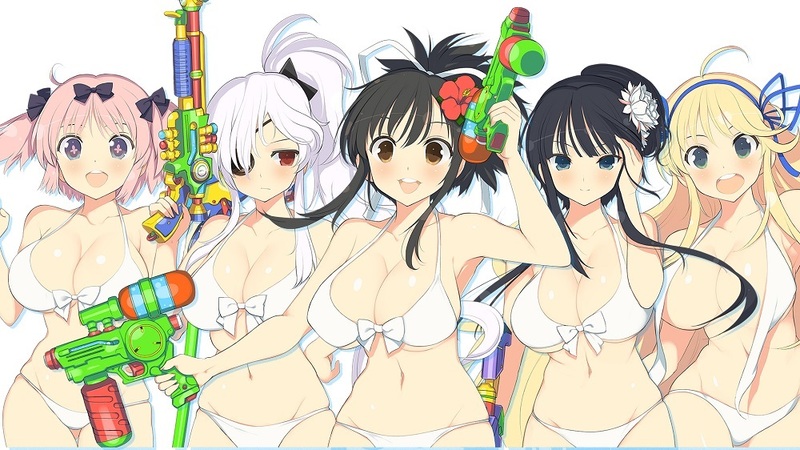 In Japan, Marvelous' cheesecake arena-shooter Senran Kagura: Peach Beach Splash will be receiving an update to allow for VR compatibility. Mana from heaven for some, no doubt. The VR support will work in conjunction with the game's "Locker Room" mode, allowing players to dress their favourite gals in various get-ups, poses and "motions" in immersive Virtual Reality. A "VR Diorama" mode will allow you to create fun scenes featuring the characters. In related news, DLC is headed to the game in the shape of Valkyrie Drive: Bhikkhuni's Kagurazaka sisters. Rinka and Ranka (yes, really) will be joining the shooter's already-bulging roster of characters for chaotic water-fight fun. All of the above is currently only to be made available for the Japanese version of the game, We will update you should a Western announcement be forthcoming.